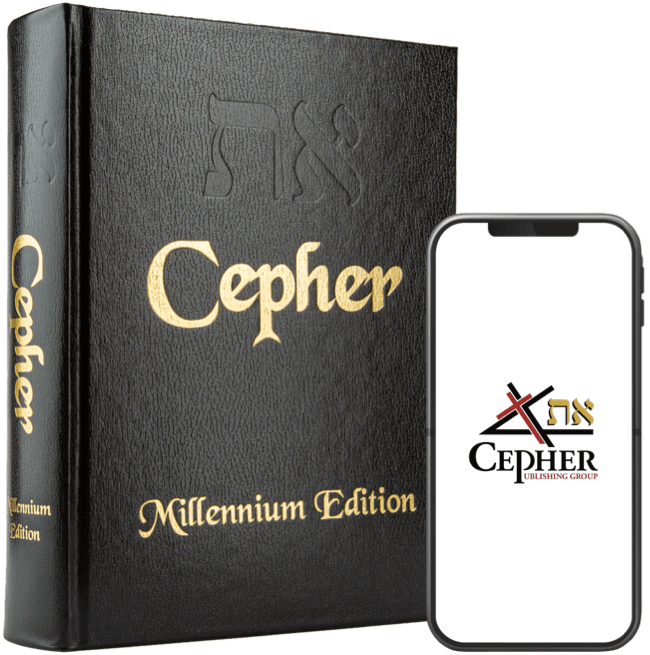 One of the things that has become more evident within the confines of the Eth Cepher, is the discussion of the Nephiliym, a word which appears in the Hebrew many times in the early books of Moshe (Moses) and Yahusha (Joshua). A reference to Nephiliym is also found in Bemidbar (Numbers) 13:33; Devariym (Deuteronomy) 2:11; Devariym 2:20; Devariym 3:11; Devariym 3:13; Yahusha (Joshua) 13:12; Yahusha 15:8; Yahusha 17:15; and Yahusha 18:16. In all of these instances, the discussion concerns giants. One would have to conclude, having read these texts, that the scriptures – even within the confines of the 39 book Tanakh, or the redacted modern 66 book Bible – make it clear that there were giants on the earth in those days. As we have discussed previously, the book of Chanok is illustrative that in fact there was a hierarchy of descent from the Watchers. The fallen watchers begat giants – or in the Hebrew, Rapha’iym, who begat Nepheliym, who begat Eliud. Now let us consider this word Rapha’iym a bit more, because what is unveils is particularly onerous. Again YAHUAH said to Rapha’el, Bind Aza’zel hand and foot; cast him into darkness; and opening the desert which is in Duda’el, cast him in there. 7 Throw upon him hurled and pointed stones, covering him with darkness; 8 There shall he remain forever; cover his face, that he may not see the light. 9 And in the great Day of Judgment let him be cast into the fire. 10 Restore the earth, which the angels have corrupted; and announce life to it, that I may revive it. 11 All the sons of men shall not perish in consequence of every secret, by which the Watchers have destroyed, and which they have taught, their offspring. 12 All the earth has been corrupted by the effects of the teaching of Aza’zel. To him therefore ascribe the whole crime. 13 To Gavriy’el also YAHUAH said, Go to the bastards, to the reprobates, to the children of fornication; and destroy the children of fornication, the offspring of the Watchers, from among men; bring them forth, and excite them one against another. Let them perish by mutual slaughter; for length of days shall not be theirs. 14 They shall all entreat you, but their fathers shall not obtain their wishes respecting them; for they shall hope for eternal life, and that they may live, each of them, five hundred years. 15 To Miyka’el likewise YAHUAH said, Go and announce his crime to Samyaza, and to the others who are with him, who have been associated with women, that they might be polluted with all their impurity. And when all their sons shall be slain, when they shall see the perdition of their beloved, bind them for seventy generations underneath the earth, even to the Day of Judgment, and of consummation, until the judgment, the effect of which will last forever, be completed. Remember now that the children of the fallen Watchers (Samyaza and the others) are in the first generation called Rapha’iym. According to this scripture, these souls (nefeshiym) shall be bound for seventy generations underneath the earth – until the Day of Judgment and of the consummation of things. Are there other scriptural references to this concept? There sure are. Dead things (in the Hebrew - Rapha’iym) are formed from under the waters, and the inhabitants thereof. Let’s begin here. The English translators elected to construe the term Rapha’iym (Strong’s No. 7496) as dead things here (and in seven other places – see below) rather than as giants (Rapha’iym - Strong’s No. 7497) as found in 24 other places throughout the text: Bere’shiyth (Gen.) 14:5; Bere’shiyth (Gen.) 15:20; Devariym (Deut.) 2:11; Devariym (Deut.) 2:20; Devariym (Deut.) 3:11; Devariym (Deut.) 3:13; Yahusha (Joshua) 1812:4; Yahusha (Joshua) 1813:12; Yahusha (Joshua) 1815:8; Yahusha (Joshua) 1817:15; Yahusha (Joshua) 18:16; Shem.Shen (2Sa) 5:18; Shem.Shen (2Sa) 5:22; Shem.Shen (2Sa) 21:16; Shem.Shen (2Sa) 21:18; Shem.Shen (2Sa) 21:20; Shem.Shen (2Sa) 21:22; Shem.Shen (2Sa) 23:13; Dev.Hay.Rish. (1Ch) 11:15; Dev.Hay.Rish. (1Ch) 14:9; Dev.Hay.Rish. (1Ch) 20:4; Dev.Hay.Rish. (1Ch) 20:6; Dev.Hay.Rish. (1Ch) 20:8; Yesha’yahu (Isa) 17:5. Yet, the words in 7496 and 7497 are identical in the Hebrew. Consider this passage reading as follows: Rapha’iym are formed from under the waters, and the inhabitants thereof. If we assume that the foundations for this use is established in the above-cited scriptural passages and that they reference to the same thing – that is, the first generation of offspring between the fallen Watchers and women on earth were the giants which in the Hebrew are Repha’iym, then we can conclude that what was is formed under the waters in the reference in Iyov (Job) are giants. Consider that is in in Iyov (Job) that we get the first reference to Leviathan (41:1) Can you draw out leviathan with an hook? or his tongue with a cord which you let down? And Leviathan is further defined in Tehilliym 74:14 and 104:26, and with a clear delineation in Yesha’yahu (Isaiah) 27:1 In that day YAHUAH with his sore and great and strong sword shall punish leviathan the piercing serpent, even leviathan that crooked serpent; and he shall slay the dragon that is in the sea. Let us then conclude that Repha’iym is in fact the better choice for this description in Iyov.